TSUCHIHASHI presents Jazz Live at HIrakatajuku Jazz Street! 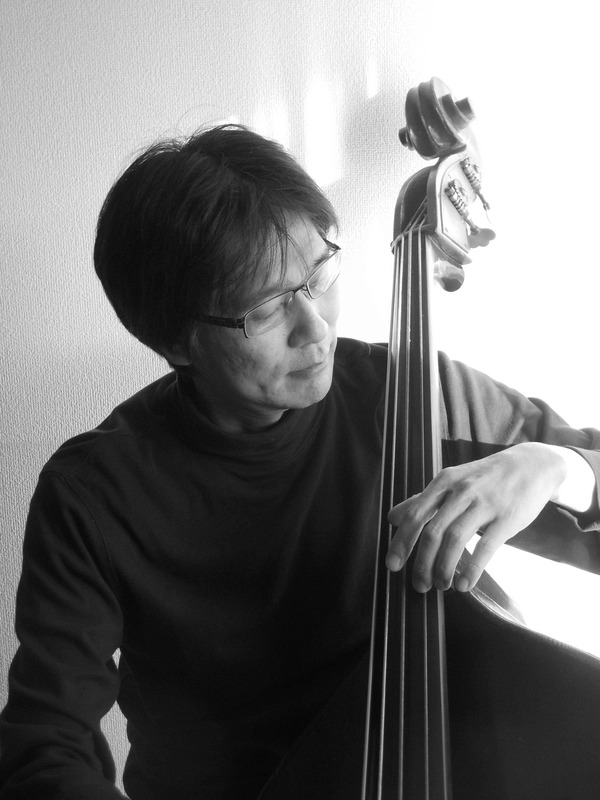 Began to play Blues guitar at age of 12, Tsuchihasi changed his musical insturment to contrabass at age of 20. Soon, he became to play jazz standards at clubs in Kyoto and Kobe, Japan. In 1987, he moved to New York to study film making, and also he learned jazz ensemble skills from Lee Konitz. Tsuchihashi did many gigs and sessions with many musicians in New York. After he came back to Japan in 1991, he did street perfoemances in front of Studio Allta (Sinjuku) and gigs at jazz clubs around Tokyo area. In 2011, he released piano trio album " The First Meeting," and in the same year, he began to play piccolo basses whiches are heard in original jazz suite CD "The Kobus Passion." In 2013, he attended Pat Metheny and Larry Grenadier's workshop in order to deepen his musical skills for the composition and improvisation of the jazz suite. In 2015, he released acoustic duo CD, "Tune for Pat" with Armenian-Australian guitarist; Kris Tcheupdjian.